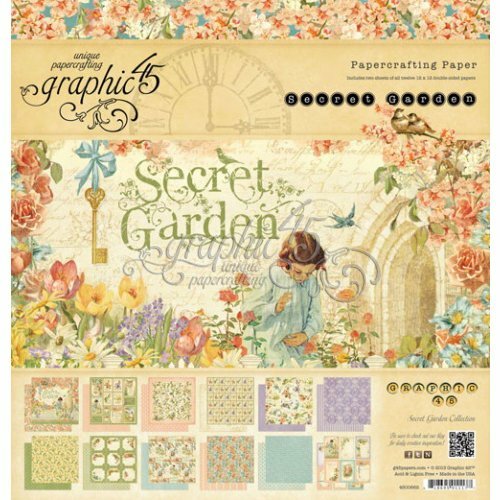 The Secret Garden collection from Graphic 45 features beautiful designs and colors. 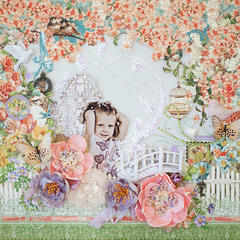 This collection is great for a number of themes including girl, heritage, garden, spring, children and outdoors. 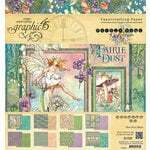 Each 12" x 12" Paper Pad from Graphic 45 includes two each of 12 double-sided papers - 24 double-sided papers total. These papers are thicker than you might expect, indicating a high-quality and durability. This pad is made in the USA. I am going to share a review on all of the papers I bought in this order with this one note. 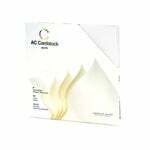 I have been purchasing papers from scrapbook.com for a long time and this order was the same excellent service and quality of materials that I have come to know from scrapbook.com and Graphics 45! There is no better place on the web (or in real life) for me to do business with and as always this order was perfect! 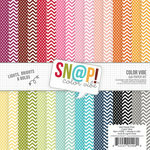 I am in love with Graphics 45 papers. It's almost a compulsion, but a wonderful one! 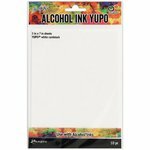 Their products exude quality, no bleeding colors here and the weight is suitable for pages in your scrapbooks or any paper project you can imagine. I love the fact that the patterns are so creative and inspiring. I can go on but let's just say this is not my last order and that I am completely satisfied with all the items I ordered! Thanks again to those at scrapbook.com! You are great!!! 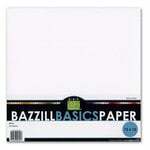 This is a great paper pack. I made cards out of them and they were so cute. I also love the ideas that you sent with this one. 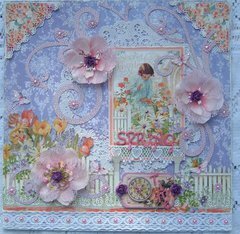 I have one granddaughter that I would love to make a page for her iin the Secret Garden Collection paper like you sent the ideas for. I don't have all of the extra's but i can make do with what i have. Thank you for sharing those ideas! They give me a lot of inspirational ideals. What a great packet of paper. 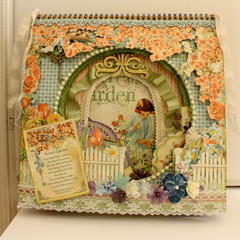 I love the book The Secret Garden and the paper is a wonderful testament to the book. 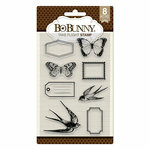 I also ordered the other items that went along with the paper and have been using it all non-stop. Definitely on the Feminine side but so worth it for anything vintage and girlish. I love this set of papers. 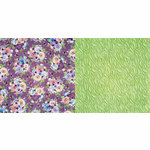 They make you feel like spring and summer with the butterflies and beautiful flowers. It is one of the best designs Graphic45 has done. It can be used in so many different ways. I just got these yesterday & I am so happy! Graphic 45 really outdid themselves on these. 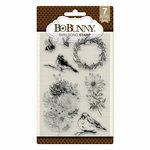 I am going to use them for heritage pages & garden pages too.I recommend them highly. Graphic 45 has outdone themselves with this paper. It is beautiful and although I haven't used it yet, it will make a splendid lay out. 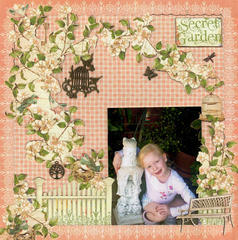 The Secret Garden Collection paper, die cut chipboard tags and cardstock stickers there all so pretty. I love the collection. 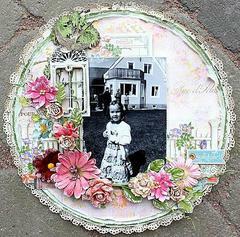 I love this vintage Secret Garden Collection, perfect for my family history scrapbooking project dating back to the 1800s. This is my favorite collection from graphic 45. These beautiful papers make every project a great piece.